Secondary degree with minimum 5 years of experience in project management with 7500 hours leading projects and 35 hours of PDU. Higher degree with minimum 3 years of experience in project management with 4500 hours leading projects and 35 hours of PDU. Project management experience is not related to designation, but it refers that you have experience in project handling. One must be involved in all the five stages of the project management lifecycle i.e. planning, initiating, monitoring, directing and closing. Individuals must have taken up minimum 35 hours of project management training. For the PMI, one actual hour of training or education is equivalent to one contact hour. One can either take online or in-person classroom training. Personal details such as name, address, contact info, etc. After submitting the application form, you will receive the acceptance confirmation within a week. After submitting the application form, the PMI will send you an email to pay the PMP exam fees. The current exam fee is $405 for member and $555 for non-member (this might be change after the launch of PMBOK Guide 6). The PMI membership gets you a lot of benefits at just $129 annual fee. Being a PMI member, you will receive a digital copy of PMBOK® Guide; peer-written and reviewed articles, get access to on-demand webinars, and project and business management books. Put all these proofs in one envelope and send that to PMI® at registered mail and you will receive the confirmation email within a week. After done with all the formalities by PMI, you can schedule your examination through PMI website. Just login to the PMI® Certification system and select your mode of examination i.e. Computer-based Test (CBT) or Paper-based Test (PBT). You can choose any date within 1 year of submitting the fee. PMP certification exam is a closed book examination. It includes 200 multiple-choice questions that you need to attempt within 4 hours. Among 200, 25 questions are pretest questions that don’t have any effects on the score and are included to test the validity of future questions. To clear the exam, you should correctly answer at least 137 questions. If in case, you don’t clear the exam in the first attempt, you can reschedule the exam. One applicant gets 3 attempts within the period of one year. After clearing the PMP certification exam, you will be able to take your PMP® certificate within 6-8 weeks. The PMP credentials are valid for 3-years and to renew the PMP certificate one need to earn and submit additional 60 PDUs every 3 years. However, you can earn these 60 PDUs in the certification year itself. Each dedicated hour for professional development activities will offer you one PDU. PMI has defined two ways to earn PDUs, education and profession. You can earn PDUs by attending events like webinars, seminars and workshops conducted by PMI® Registered Education Providers (REP) or PMI® itself. By completing short term or long term courses by training institutes or a university can help you earn PDUs. You can attend a PMI® Publication Quiz that includes reading articles and answering minimum 70 percent of the questions accurately. Informal education activities like reading books, podcasts, articles, watching videos, etc., associated to project management, program management, project scheduling and project risk. By creating a new knowledge base such as writing a book, articles, serving as a speaker, presenting a webinar, etc. for the topic of your expertise, can earn you PDUs. By offering non-compensated project scheduling or project management services to non-employer. After earning 60 PDUs at the end of the credential cycle, you can apply for renewal by paying the renewal fee, which is $60 for members and $150 for non-members. 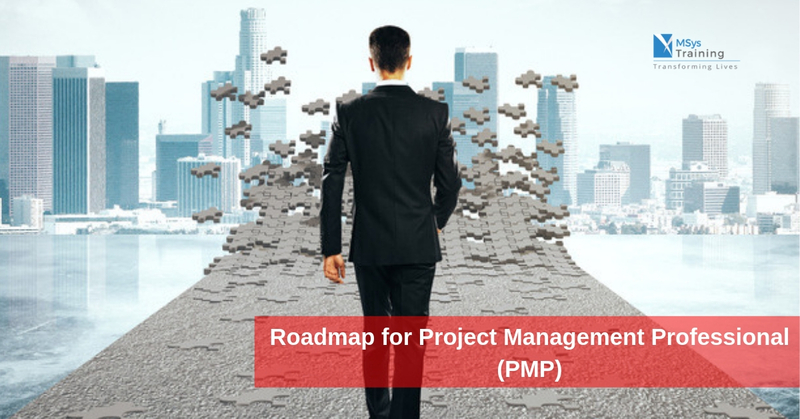 Follow the above mentioned process to get PMP certified and to maintain your credentials for the same.